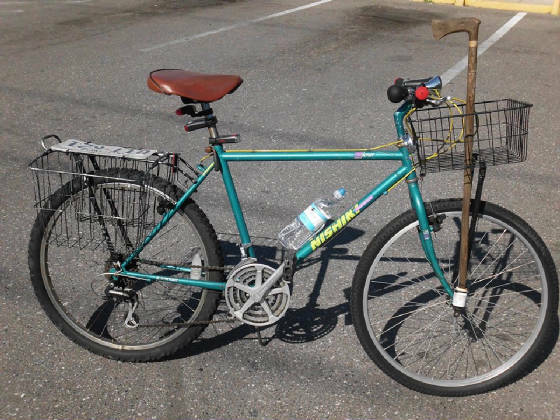 Men's 18 speed Nishki Blazer Mountain Project 26" Wheels & Tires Very BIG SOFT SEAT!!!! Front Basket and Rear saddle baskets Front & rear lighting & Horn ! 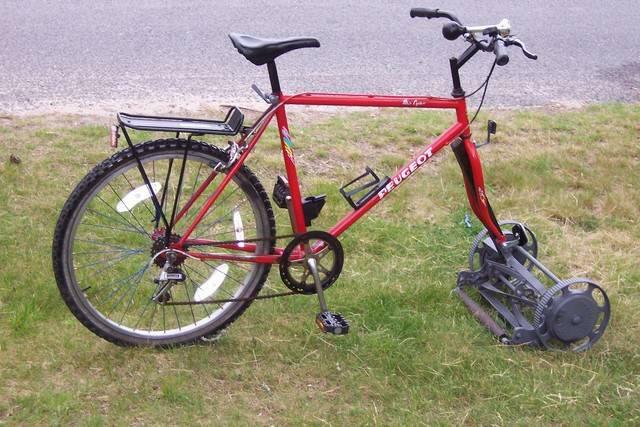 19" from the center of the pedals to the seat mount. Click here to email us with your questions or further information about our shop. 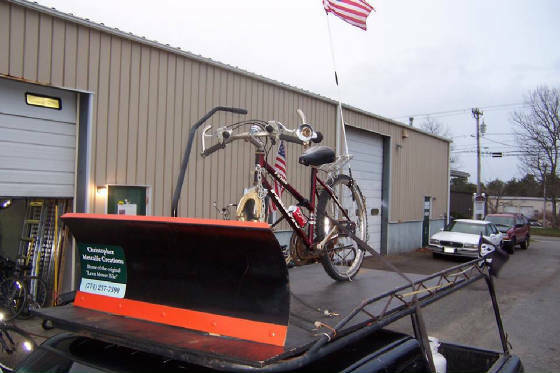 This Snow Plow Bike is on Cape Cod Ma. 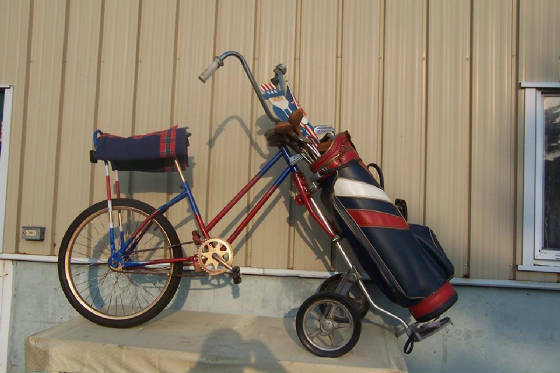 1963 Schwinn City Cruiser single speed with coaster brakes , 26" Banana Saddle Vinyl,Beach Cruiser High Back Sissy Bar, 42in,26 X 2.20 Holy Roller all terrain tire MAXXIS COM , Serial # SW63A76593 , Hot-Z 5.5 USA Patriotic Cart Bag mounted front of bike on a ZTech Steel Pull Cart. 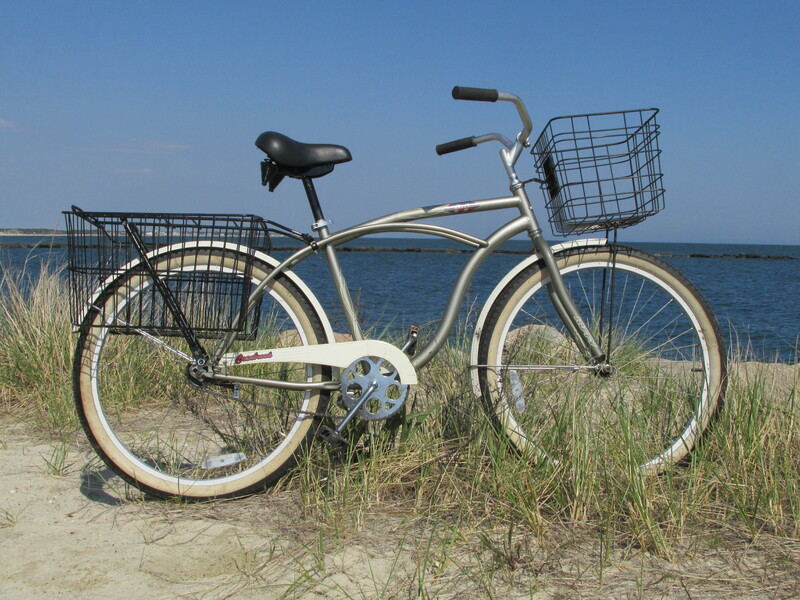 Huffy Cransbrook Beach Cruiser Frame durable steel cruiser frame , Kick stand Handlebars comfortable cruiser style with front basket Seat paddle spring saddle plus alloy quick-release for easy adjustments Tires: 26" x 2.125" "Balloon" tires with white walls Brake: easy-to-use coaster brake , Large rear saddle basket , Front and rear fenders , 18 '' from the center of the pedals to the seat mount with a 12'' extension , Serial # AL08K005157 * 56368 29308A A great beach cruiser This bike would make a great Fishing bike for fishing. 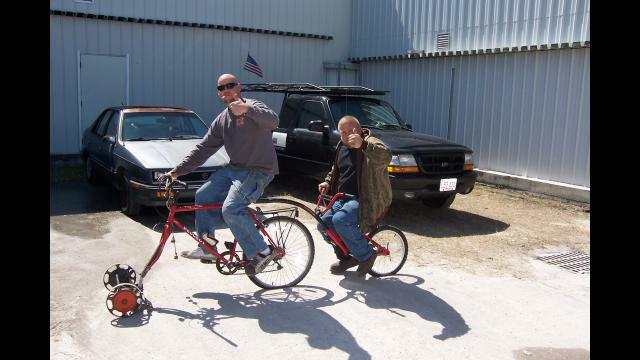 By the self proclaimed best fishing bike builder Christopher Metcalfe Creations. Thanks for dropping by and taking a look at my creations. Please get in touch with any comments or reactions! 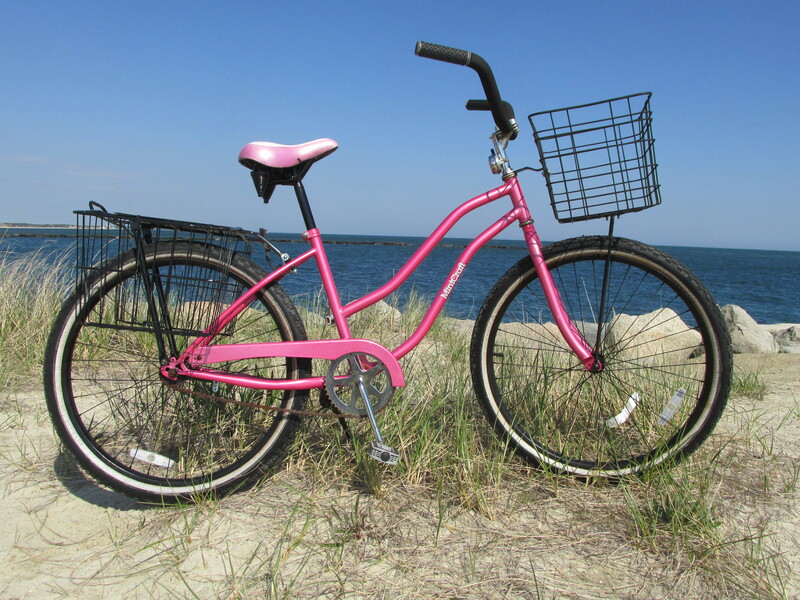 MINTCRAFT 26" PINK LADIES STEEL BEACH CRUISER BIKE BICYCLE Kick Stand , Front and rear baskets , Bell , 26 X 2.125 white wall tires new tubes , 16'' from the center of the pedals to the seat mount with a 12'' extension , Serial # K50129846 .